Do you like Crossout? Share it with your friends. 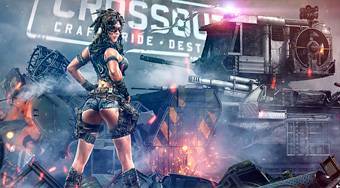 Crossout is a post-apocalyptic MMO game in 2047, 20 years after a devastating catastrophe that has altered life on our planet for good. Your task will be to survive in this difficult time against enemy survivors, your weapons will be mainly assembled combat vehicles, which you could see, for example, in the movie Mad Max!